The Twitter Olympics? I’d say the digital social activist Olympics. Just days before the Games were ready to begin talks online were already debating the future of the Olympics and their relationship with the online, viagra approved social media. Many have asserted then that these Winter Games will mark the history of the Olympics by being the first where Twitter, buy as a micro-blogging platform and representative of social media, will rule, shape, reflect and help record the Olympic experiences. And while I do agree that Twitter played an important role in these Games and I admit that most of my interaction with the Games this edition was via my customized Twitter feeds and some of the Olympics lists compiled by various outlets and engaged people for the occasion, I believe that this Olympic edition is about much more than micro-blogging. In a previous post I wrote about how the blurring of boundaries between citizen journalism and traditional journalism as well as the overlap of their audiences have led right paying outlets, such as CTV and NBC, to revise their online content delivery methods. In a conference paper I presented while in Vancouver I also asserted that the internet has become an important communication tool for activist groups but that my research indicates that although these groups have well thought communication strategies and plans where the Internet plays an important role in awareness raising and attention gathering, they still heavily rely on the coverage of established, traditional media outlets in order to promote their causes and move them from being catalogues as local issues to regional, national or even international ones. To support my statement, I bring as example the convergence protests held in Vancouver around the open ceremony of the Games. Groups like No2010 or Olympic Resistance have been well known for their anti-Olympic messages before the Games started, so much so that their websites were down for unknown reasons several times before the Olympic Torch reached Vancouver for its last journey before hitting the cauldron. According to No2010, more than 2000 people were in downtown Vancouver on February 12 (in a later press release uploaded on the group’s site on February 25 the numbers given are of 4000-5000), managing to divert twice the final route of the torch. Information and maps depicting the torch route and the protest areas in the city soon emerged online in form of twitter updates, chats and blog posts. While on Twitter, protesors were among the top 10 trending topics in the area of Vancouver (see above screen shots from Trendsmap), no such information was available on any British media outlets. Furthermore, no mentions to the protest were made by the BBC, the official UK broadcaster of the Games, who was constantly providing updates from the city. The scenario was replicated hour after hour until the beginning of the opening ceremony, with protests gaining more visibility on Twitter. However, once the ceremony had started the protests as a trending topic disappeared from the radar. Following Twitter’s evolution, it could be asserted that generally peaceful protests of Vancouver remained a local story, representing a reaction to local problems. However, the first day of the Games when the Anti-Olympic Black Block smashed the windows of several business in downtown Vancouver, the violence turned the local story into an internationally appealing one. While it the online outlets that picked the story first, such as the Huffington Post or the New York Times Vancouver 2010 blog, the coverage from news agencies such as Reuters combined with broadcast reports, accessible in print, online, on radio and tv, gave the protestors movement the attention they needed. Discourses of approval or rejection of the protestors actions was also soon visible, CTV Olympics, the official Canadian broadcaster for the Games, quoting the Police, described the protestors “thugs from Central Canada”. With the international media watching and online media supporting faster propagation of news, any action taken against the anti-olympic movement had, after the violent actions of the Black Block, a potential for escalation and thus an embedded crisis potential for the city and the Olympic organizers as well as for the other activist groups who chose to protest peacefully. However, the way the two groups, Olympics related and activist, negotiated their roles, interacted or affected each other’s activity was little covered and little seen. Perhaps this is for the first time in Olympic history when the academic claim that the visibility of the Games precipitates activist actions is proven true; the convergence protests brought in the streets of Vancouver many causes that had only a secondary link with the Games. Micro-blogging is a good method for propagation of information (in form of updates or links to other sources) however questions about structure of personal networks, interests of users, linguistic barriers and geographical relevance of the news need to be asked as well. While it can be asserted that Twitter had a visible role in depicting various personal Olympic experiences, a reminder here is due. Twitter, like Facebook and blogging, are very much Western phenomena are depend on Internet access and media literacy of the people. Twitter therefore is a platform of choice, its user base being smaller than the number of people that have access to broadcast reports from the Games. Social movements, as research has indicated on several occasions, need the media coverage. 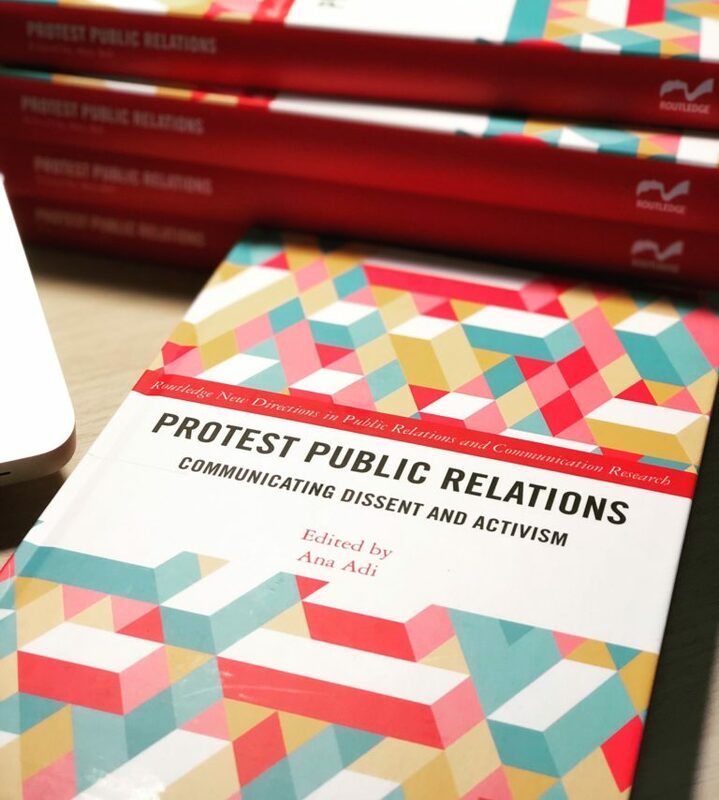 Based online or offline, activist groups still need traditional media to promote their causes further than their local areas and turn them into policy debates. The fact that the top twitter accounts, most viewed youtube channels and some of the most read blogs online are run by traditional media outlets should support this point. Shomaker and Reese’s depiction of traditional media as being prone to cover conflict is still valid. As the coverage shows so far, it was the Black Block’s damaging and violent actions that attracted the attention of outer-Vancouver media outlets. Questions however about the presence of protests and the reasons for covering them on social media outlets, including Twitter, should however be raised as well. Why did people tweet? Why did people re-tweet the messages they received in their stream? How much credibility did these tweets have? How much weight was given to those tweets by traditional media exploiting and exploring them in subsequent stories? Finally, when it comes to Internet integration, the Vancouver Games are the first when the IOC has revised its media rules during the Games time. While in Beijing the IOC guidelines remained the same for the whole duration of the competitions, in Vancouver revised guidelines affecting non-accredited media and their uploading of photo and video footage from within the Olympic venues were verbally announced by IOC officials at a Yahoo!-Flickr meetup. This change could be considered a result of the discussions and debates of the IOC guidelines taking place on social media platforms, which the IOC has started using since June 2009. Similarly, this change could also mark IOC’s more active and proactive use of these environments, seen also in their communication with their Facebook fans and their Twitter followers via their contests for Olympic pins or tickets or their responses to comments. Great piece! Certainly true that anti-Olympic sentiment was not widely circulated. Contacts in the UK had no sense of protest. And at a Vancouver screening of Salute (Matt Norman, 2009), about the role of Peter Norman, John Carlos and Tommy Smith in the 1968 Mexico Games, it was obvious that even the socially and politically aware in Australia weren’t getting this news. A Skype conversation with Matt Norman found him applauding the peaceful and harmonious games that illustrated Canada’s ‘great’ democratic and respectful political traditions. His response – ‘well, you activists ought to be using social media’ – not only failed to see that activists were doing so already, but interestingly pointed to the invisibility of these media. In other words, if you aren’t looking for it, you won’t find it. When this happens in juxtaposition with a very corporate Canadian news media and the friendly faces of Canadian federal and provincial conservativsm, this is worrying, especially when so many people invested so much in getting the news out. However, returning to Mexico ’68 we might consider that the media invisibility of dissent is due to a lack of creative use of mainstream media. Where were the ‘No Olympics on Stolen Native Land’ posters outside the CTV broadcasting tent in Robson Square to sit alongside the numerous ‘Investigate 9/11’ posters? Donald Sutherland at least managed to name check protest as a great Canadian tradition as part of his patriotic tribute interview. It seems that it was the entanglement of broadcast and social media that created the affective power of the Games to succeed with the nation-building projects of the Griersonian NFB and CBC failed. Hence, activist communities perhaps missed a trick if their aim was to present other ways of organising everyday life and to change hearts and minds. The IOC has nothing to fear from social media as they clearly recognised early on that Flickr pools and YouTube videos and Twitter feeds have actually increased visibility, TV viewing numbers and – presumably – advertising revenues. Rather than either/or it’s both/and. Thanks for the article, Adi! Thanks for the comment. When it comes to the rhetoric of the Vancouver Games, this is not the first time when “no games on stolen native land” was used to fuel and/or justify protest actions. Similar claims were made in the eve and during the Sydney 2000 Games. In fact, I believe that if the Games will ever go to a territory that has been colonized at some point, that rhetoric is due to reemerge. However, there is another aspect that I wanted to continue discussing, or better said, raise further questions. You say that it is worrying that activist protest were little if not at all represented in Canadian mainstream media. My question is, if you were to work for a rights-paying media outlet for the Games what stories would you go for? Or better, what would you recommend rights-paying media outlets to do when stories like those presented by the Vancouver activist groups emerge around the Olympics. On the same note, what would you recommend activist groups to do in order for their actions to get more coverage and visibility: a change of strategy, a change of focus? Is international coverage really important for furthering a local cause – such as housing, healthcare or minority groups – or is it just a way of trying to shame into action the institutions/organizations/people from which change is desired? And if shaming them, is there a guarantee that those changes will last or that they will positively affect the community? Again, many thanks for the comment. Excellent post, Ana. I think this reflection is an accurate starting point in terms of making sense of what was happening online before, during and after the Games period. 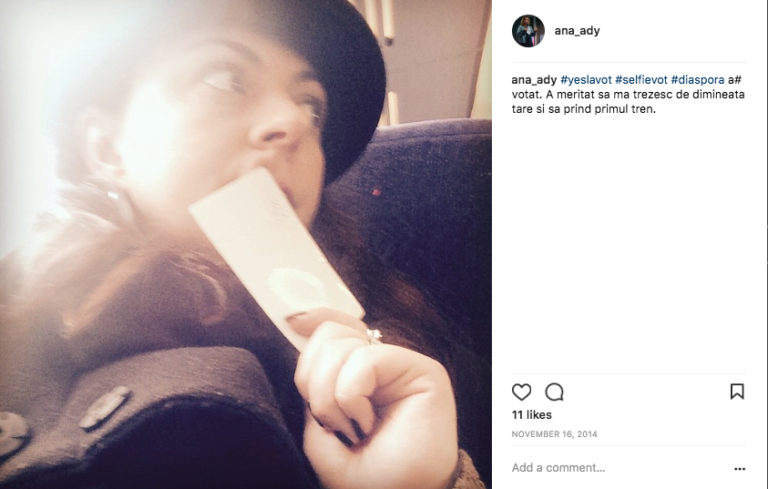 I think I also need to agree with Angela’s sentiments, “if you are not looking for it, you wont find” – although there were hashtags used to aggregate content, the information isn’t going to find people on its own, topics needs to be actively subscribed and passed on for an individual to see a wider picture, even online. The moment which defined protests and the games for me was the opening ceremony protest at Vancouver art gallery. One side of the gallery was the union of very different activist groups – and the other was the free activities put on by BC government for the fans of the Olympics. Neither one seemed to be aware of each others presence, despite being less than 10 metres away in some spots – they almost existed in harmony together. Great start to an assessment of digital social activism. Twitter and social media do certainly have their limits of engagement, as Vancouver evidenced, and traditional communication strategies of working class movements do not focus exclusively on how to get access to rights holder media, but about accessing the platforms of parallel communication infrastructure such as http://rabble.ca/ or http://thetyee.ca. The local ‘twitterati’ almost exclusively reposted and rebroadcast pro-Olympic messaging of parties, mascots, sporting competitions and the like. Local social justice and alt media community sought to expose the many contradictions of the Olympics, while not relying exclusively on these new platforms for dissemination. A daily activist tabloid and email listserves were also used to communicate with thousands of supporters. In the run up to the Games, VANOC continued to fuel polling numbers showing 70% of BC residents felt the Games were too expensive on the public purse. As the province with the highest gap between rich and poor, i do not agree with your point that “the convergence protests … had only a secondary link with the Games.” The bass public sentiment was the major costs for a highway to the Whistler resport, light rail line to the airport, or the $1 billion security spectacle were not justified if higher priority IOC and VANOC committments were being shelved. The Inner-City Inclusive (ICI) Committments were an official part of the contract to the public and created to mitigate opposition during the Olympics referendum 7 years ago. These ICI committments were widely ignored once the Games were secured. And so hosting the Olympics caused no change to the host province’s status as #1 in child poverty in Canada (6 years running); escalating rates of homelessness (Canada is the only industrialized nation without a national housing strategy), and VANOC and the IOC committment to build 2400 units was dropped due to policy pressure from local developers and the speculative real estate market. Your post accurately represents how social media indeed played an active role in propagating and organizing citizen mobilisation. It will be interesting to see how London public policy and social justice organisers respond to the emerging lessons from Vancouver. It will also be interesting to see how social media matures in the next 2-4 years and if it succeeds in attracting users with more criticality and journalism tradition amongst their emerging craft. Unless we find ways to connect online and social media (locative media, Twitter, Facebook, etc) with ‘old school’ and off-line communication practices, the digital divide will only grow. Social media can help build these great civic projects, but the agenda of the IOC and media rights holders to monetise these exchanges, requires a marginalisation and sidelining of critical engagement and an alienation of distinct publics. Thanks for your contribution towards this discussion. Interesting article and comments Ana. I have been on the ground in Vancouver since 2003 monitoring both the pro and anti Olympics discourse. My company monitored and clipped all local mainstream news information regarding the 2010 Games for the last seven years. A pattern quickly emerged indicating local mainstream news companies were very subtly manufacturing pro Olympics consent, while on the anti side the message was one primarily of hate. Big mistake for obvious reasons. The anti Olympics movement in Vancouver was poorly planned on a number of levels. Most importantly because they simply do not understand Olympic culture and kept drawing from past traditional anti activist roles. They never understood how the Olympics is funded, and assumed a tree hugging style of activism would be effective. On the last day of the Games, anti Olympics activists were actually shouted down by spectators, and ironically had to be protected by police, which indicates they failed to engage the public, much like they did throughout their entire seven year campaign. Again a big mistake. The anti Olympics message is inherently extreme, which meant for the most part they were preaching to the choir instead of winning over a critical mass of converts. Twitter, and the best social media campaign in the world could not have cancelled out or overcome this grave error. The pro Olympics side also was, and is, extreme, in fact it borders on cult, but the difference is that pro Olympic people are subtle in their message and work very hard not to alienate the masses. My company began research in 2003 and published our findings in 2006 in a book called Leverage Olympic Momentum. It was designed to give small and medium sized businesses in the Vancouver region a heads up to help them survive. The companies we engaged and advised did extremely well, but for the most part the noise emanating from local news media was so loud most companies mistakenly thought they would prosper simply by showing up. They learned very quickly on day two of the 2010 Olympics that they were misled. Unless they were located in the Olympic zones they got zero traffic, which meant they would pay for the Games through higher taxes and a cost of doing business, and not reap any of the benefits. Class actions suits are already in the works to help them recover their losses. We also published a companion blog starting in 2004. One of our positions was that anti Olympic activists had a better chance of fixing the Olympics than they did of killing it, but they were so adamant about succeeding in their kill quest they refused to consider anything but this myopic agenda. Their failure was not because social media is not an effect activism tool, but because they had systemic problems within their organization that made it impossible to win even if they would have managed social media properly. Not once in all the years we followed them did anti Olympic activists ever impress upon the general public that local mainstream news media were Olympic partners. They never once demonstrated to average people that local newspapers were well paid by the IOC to tell the Olympic side of the Olympic story. They never impressed upon people it is an unethical conflict of interest for a newspaper to partner with its advertiser, the IOC, an advertiser that draws tax funds. It seemed anti Olympics activists were more interested in seeing their names and pictures in local newspapers and on local television – in effect only creating a tempest in a teapot, than they were in succeeding in their stated agenda. Many, I included, felt they were grandstanding. They had great opportunity to put incredible pressure on the IOC by making it difficult for them to attract Olympic sponsors, but if activists did this they knew local newspapers would not cover their story, because in effect, local newspapers like the Vancouver Sun and the Globe and Mail are Olympics sponsors/partners. Anti Olympics activists also failed to leverage a “think local act global” message that they needed to succeed – a strategy perfectly suited to social media. Saying all this, it is far too early to count anti Olympics activists in Vancouver out yet. The Vancouver and Canadian public will rethink their position when Olympics bills start to ad up and social services are cut. Once the patriotism fades and reality sets in Vancouver activists will have another chance to impact the IOC. Our research of past Olympic events, which goes back almost 30 years, indicates taxpayers in Olympics host regions are always eventually disappointed, especially over the span of the last ten years. A paradigm shift began in this regard in 2002 respective of the Salt Lake City Olympics when it was discovered five years after the event their deficit was in fact $1.2 billion, not the $400,000 politicians reported. When this occurred residents realised they had been hoodwinked. This was also the Games where IOC members were accused of fraud, and judges of taking bribes, so people were extremely sensitive to Olympic malfeasance. The shift increased exponentially two years later when Athens suffered a $12 billion deficit in 2004 and cemented in people’s minds that the IOC business model is outdated and broken. Dr Helen Lenskyj also documented during this period the incestuous relationship between local news media in an Olympics region and the IOC. It is more apparent today that until the mainstream news media chain is broken the IOC has absolutely no incentive to change how they do business. The following is a long page with a number of articles, but in it you will see how local mainstream news media, way back in 2006, set Olympic activists up for failure. Basically, they gave them just enough rope to hang themselves. I called for a media inquiry at this time, but was ignored. Local businesses were convinced that all they had to do was open their doors and customers would stream in. They believed this because mainstream news media, who were Olympic partners, misled them to believe everyone would profit. Restaurants and retailers realized on day two of the 2010 Olympics that they had been fooled. This overview of my 2006 book addresses why social media would be so important in the equation four years later in 2010. When the book was published the term social media and Twitter were not yet part of our lexicon, but still at this time we worked with a number of national companies to help them understand how this growing phenomenon would help them leverage Olympic momentum. The companies that followed the advice in our book did extremely well. We also addressed practical issues for activists, but they ignored us. My January 19, 2010 prediction of how the anti Olympics protest would roll out in Vancouver. Nailed it perfectly. BTW, I’m pro Olympics – with a twist, which means I love the sport, but hate the politics. I am the first passive aggressive activist to aggressively promote that we should fix the Olympics, not kill it. Consequently, I have made enemies on both sides of the Olympic equation, but recently some members of mainstream news media have started to appreciate my point and support it. They support it not because they support me, but mainly because if the Olympics business model is not fixed it will implode and the people it is supposed to serve, athletes, will suffer the most. My background is in live performance entertainment. I was instrumental in the 90s in creating disruptive MP3 web strategies that forced radical change in the music industry, and I apply the strategies we used almost fifteen years ago to the Olympics today. Thank you for the comment, the examples and the resources. I’ll take the time to go through them. I find it interesting that you’ve been researching the anti-Olympics movement surrounding Vancouver for so long. If I understood right, you looked just at traditional media outputs (you mention clips, that’s why I ask). Do you happen to have the full report of that research? Would you care sharing it? When Vancouver won the 2010 bid in July 2003 I moved my boutique media communications company from Toronto to Vancouver with the intention of working with the local Olympic organization, eventually named VANOC, but after the move and about three months of preliminary research we discovered the Olympics more often than not is harmful to a host community. It was disappointing to discover the Olympics isn’t what the IOC leads people to believe, so we made a decision to instead work for the community and help people here survive and maybe even make a bit of money leveraging Olympic momentum, hence the title of my book. For clarity, I am not all that altruistic so it was hard to turn my back on the economic opportunity Olympic organizations could provide. However, I also knew that if my community is healthy, my business would be healthy. I love Vancouver and want to live here. I made the decision as much for self preservation as anything. Once we made the decision to side more with the community it meant we had to understand both sides of the argument, pro and anti. I made a decision early not to join one group or the other (anti or pro), but instead to report our findings through my blog on a regular schedule. I did however attend regularly meeting on both sides, and was always considered a bit of an outcast by both groups, never trusted, a role I might add that mainstream news media should have adopted, but for obvious reasons didn’t. Both sides could see my information, but interestingly it was only Olympic organizations that really paid attention. I could track who was reading us because we also maintained a newsletter for a few years. At its most popular time we had almost 10,000 followers – about 1,200 were media, mostly relatively local but many from other parts of Canada and the US Pacific Northwest. The bulk of our readers were small and midsize business owners. BTW, you can identify when the article was published by the numeric string in the middle of its file name, i.e. http://www.olyblog.com/f/07/CrowdSourceF08032007.shtml#SUNBOOSTER was published 08032007 – August 3rd 2007. I really should have placed a publishing date at the top of each article, but I was learning to blog as I went along. Regarding your question Ana of a “full report” of our research, you can glean most of what we’ve covered through the blog, but you will notice I quit posting articles on my blog mid 2009 for a few reasons. First, in the last few months before Vancouver’s Games, we were extremely busy helping companies, local and international, develop strategies to leverage 2010 Olympic momentum, and second, we are planning a 2nd edition of our book, which means we had to hold something back. (I am currently shopping publishers so if you know someone who might be interested please let me know.) We also quit posting because mainstream news media started to approach us regularly for interviews, and it took a considerable amount of my time. I also did a few guest articles for other publications both online and in print, plus a series of news television spots for the CBC about using Twitter and social media as a promotion tool for companies that didn’t have Olympics affiliation. Also, and social media activists might find this interesting, I spend a considerable amount of time commenting on other websites, like yours for example. We discovered long ago that it’s important to “go to the conversation” and contribute in a wide variety of spaces. I’ve done this for years and as you can see still do it today. I did it this way partially because I was concerned the IOC or others might go after me legally and force me to remove information from the websites I owned. It’s a social media way of chaining yourself to a tree, because if you Google my name and Olympics I’m pretty well everywhere. To ease your mind Ana about me commenting here on your website, I respect hosts like you and never make statements that could be deemed libellous. If people like what I write here they can choose to go to my website for the gritty details. Interestingly, local news companies who are official Olympic partners, especially newspapers rarely let me make a post on their sites and identify myself as an Olympics researcher or author. I can make a comment as long as I don’t qualify my perspective. Thank you for the extensive comments and for taking the time to share here your story and your views. Since you mentioned your many years of experience in communication, I wonder how would you answer the questions I asked Angela when she left her comment. Please refer to my first answer in the list. These are all terrific posts and it’s great to see this conversation happening. As to your question, Adi, about what I’d recommend that activists do, I am afraid that I can’t speak to that. I would not self-identify as an activist but rather as someone with an interest in the relationships between film and video practices across art, documentary and activism as they variously imagine the city. My point was that despite the appearance of protest early in the Games via international news, people without an active interest in dissent (both in the city and in other countries) had little sense that there was local protest. While I wouldn’t expect the rights holder to show protests on the news, I might expect more of the CBC. However, given the economic pressures under which the CBC is operating perhaps this in not surprising. I know that The Tyee, 24 Hours and The Georgia Straight have all published excellent, critical pieces about the Olympics. And even Jeff Lee in The Vancouver Sun has not been wholly pro-Olympics. Yet, while the news was there, it seemed invisible beyond the city. The lack of widespread recognition of protest is intriguing and worth investigating by researchers. Is this to do with the ‘distribution of the sensible’ and the strength of ‘brand Canada’ as an artefact of Trudeau’s seemingly left-wing and socially aware Canada of the 1970s? I don’t have an answer to that. None the less, when the spectacle of the Olympics hit town – with all the opportunities for people to film themselves watching the game on a live city screen, post that to youtube and then go home to watch the post-event discussion on CTV – pre-Olympic scepticism dissipated into nationalist emotion. We were all there in the moment, which made us feel a part of something and that something felt good and therefore anyone asking questions was marginalised as negative and/or extreme (as Am Johan has also discussed at a number of events). Irwin and Maurice’s points are very well observed in this regard. We do need to understand the aesthetic and emotional power of the integration of media forms and perhaps how different groups might harness that to fuel public lobbying for more effective democratic processes. While these may be local issues, there are global implications in that the Olympic brand is the mega-event that has the greatest impact on both city and nation. Homelessness, poverty and public expenditure cuts are not limited to Vancouver. Certainly the Games do precipitate activism and sometimes that activism has successfully used mainstream media coverage. We might even see the American team’s refusal to salute Adolf Hitler at the opening of the 1936 Games, filmed by Leni Riefenstahl, as an early instance of that, slight though it may seem to us now. The Mexico 1968 Black Power salute was broadcast live on TV. And Helen Gilbert has written extensively about aboriginal protests of the Australian Olympic and Commonwealth Games in Performance and Cosmopolitics (2007, Routledge). In Vancouver both the ‘no Olympics on stolen native land’ (which refers very specifically to unceded Coast Salish territories rather than a general post-colonial discourse) and the tent city did bring activist groups together to work positively and collaboratively. But I suppose a key question focuses on what it is that activism aims to achieve through its use of various media. Again, this isn’t my area of expertise but I understand that activism isn’t exclusively about changing hearts and minds so perhaps broad visibility isn’t always a key priority. Social media can be useful tool to organise, communicate and disseminate. However, the aesthetic characteristics and current ubiquity of a range of proprietary and open source platforms combined with the proximity of social media to advertising and marketing will likely maintain social media as just one element of activist practice. Great points Angela. I’d like to quickly add that “WHEN” mainstream news media publishes information is as important as “what” they publish. For example, I agree with you that Jeff Lee has in the relatively recent past published balanced and critical information about VANOC and the IOC, but our community really needed to hear this information years ago when we could have done something to help improve the IOC business model. If you don’t know it’s broke, you can’t fix it. The main reason I rushed my book to publication in 2006 was to give our community a heads up so we could be proactive, not reactive. It is the first time in Olympic history a book of my style and scope was published “before” the Games hit town and before the damage was done. Usually a book of my style is published after the fact. Vancouver news media pros will inevitably pop out one or two books post 2010. I tried many times to get Jeff Lee to debate the merits of my perspective, but he was always more concerned with undermining my credibility instead of exploring solutions. I kept all his emails and Tweets to reference in my second book. His resistance is revealing. He recently commented in a public space there was nothing he could learn from me and that reading my book was a waste of time. Ironically, most of the predictions I made in the book were spot on. It is misleading to sound the alarm after the fire has overtaken the building. Here’s an interesting article in The Tyee about Jeff Lee writing for the IOC’s magazine. In Canada, there is a huge difference between what a reporter wants to report and what his or her editor or publisher will allow to be reported. I ran into this challenge many times. For example rights-paying news companies interviewed me many times, and the reporters for the most part were interested in my perspective, sometimes even excited, but when it came time to get it past their editor or publisher it proved impossible. I appreciate the difficult place journalists find themselves today, and I don’t blame them for skewing towards their boss and pay check. They are stuck in the middle and have to support their families. But, they also have to realize if they do not push their editors harder to be less biased they will suffer in the end when their news company hits the wall, much like Canwest recently did when they filed for bankruptcy protection. Canwest is a rights-payer, or more accurately was the parent company of three local newspapers and television company in Vancouver. Canwest was purchased this week by SHAW. Canwest attributes their demise to bad investment decisions, but my argument has always been that if they represented their readers more, and their advertisers less, they might still be in business. To answer your question Ana, what stories should a rights-paying media company pursue? They should investigate “exactly” how the entire community benefits, and not simply regurgitate the rhetoric from the IOC. They should investigate why it is harmful to allow Olympic sponsors like Coca Cola and McDonalds into schools. They should demonstrate that Olympics facility and infrastructure construction is temporary. When the Olympics are built out you end up with thousands of construction labourers without jobs. They either go on welfare or leave the area. News companies should make it clear the Olympics is NOT the root cause of homelessness, but it definitely makes it worse. We saw in Vancouver (it happens in all Olympic regions) marginalised people pushed from their homes into the street when unscrupulous landlords converted their SROs (single room occupancy) to upgraded facilities. Marginalised people cannot afford to move back into these gentrified neighbourhoods. We also saw, just like in all Olympic regions, average tenants pushed from their homes so landlords could do minor repairs and then re-rent the apartments to people moving into the region to work the Games. New tenants are prepared to pay much higher rent. News companies need to report this trend before it happens, not after the fact at a time when it is impossible for politicians to incorporate protective legislation. Unless reporters in London have already asked these question, residents are probably already feeling the squeeze so it’s too late to pursue this line of questioning. They simply have to live with it and do the best they can. Here are a few suggestions they should consider now though. Explore “exactly” how retailers and restaurants on the “periphery” of Olympic zones will benefit. IOC rhetoric of the community being left with sport facility legacies or improved infrastructure is no longer good enough. Strapped business owners in this tough economy need to know exactly how they will share in the short term spoils. They need to know so they can survive. Reporters can ask exactly how retailers are preparing to entice Olympic crowds. Will your local Olympic organizing committee build an Olympic souvenir superstore? VANOC did in Vancouver and it sucked millions out of spectators, but didn’t benefit local retailers. Reporters can ask retailers now, today (and educate, which means ask repeatedly), how they will use social media to connect with athletes and spectators “before” they arrive in London. Retailers “must” offer incentives to athletes and spectators in order to get them to even consider walking a few blocks beyond Olympic zones. Journalists can also ask small business owners exactly what they are doing to support Olympic athletes who need funding. In Canada many amateur Olympic athletes have a very tough time financially, so when a business approaches them with a sponsorship offer it is gladly accepted. Business do not realize that even $5,000 goes a long way and that athletes, at least in Canada, will allow a company to place the athlete’s name on their website, and the athlete will even put the company’s name on their website. A larger investment will buy a patch on an athlete’s sleeve. I’m oversimplifying it, but my point is that if you look there are incredible opportunities for everyone. Here’s an article I wrote for the largest food industry magazine in western Canada that describes exactly how retailers without Olympic affiliation can leverage Olympic momentum. They are obviously not a rights-paying media company. Here’s the best overall advice I can share Ana. Compete with the IOC in a friendly way. DO NOT let the IOC intimidate you. They will publicly bully companies in the early years to set an example that scares everyone into compliance, and rights-paying media will of course play along because they have a vested interest. The intimidation strategy works so well most business owners are petrified to even explore possibilities. A good test in London today is to simply interview retailers and restaurants in the immediate vicinity of Olympic zones and ask them what plans they have to leverage Olympic momentum. If they have none, you can assume they are fearful of being creative, and that they believe all they have to do is show up and they will make enough money to counterbalance the increased taxes needed to pay for the Games. They will be in shock when the parade passes them by. Guaranteed. BTW, over the last couple of years we saw a substantial and increasing number of people from the UK follow our blog. Unfortunately we don’t know who exactly, but are hoping it is people interested in improving the experience for the entire community. However, returning to Mexico ‘68 we might consider that the media invisibility of dissent is due to a lack of creative use of mainstream media. Where were the ‘No Olympics on Stolen Native Land’ posters outside the CTV broadcasting tent in Robson Square to sit alongside the numerous ‘Investigate 9/11′ posters? Donald Sutherland at least managed to name check protest as a great Canadian tradition as part of his patriotic tribute interview. It seems that it was the entanglement of broadcast and social media that created the affective power of the Games to succeed with the nation-building projects of the Griersonian NFB and CBC failed. Hence, activist communities perhaps missed a trick if their aim was to present other ways of organising everyday life and to change hearts and minds. I thought I would just correct a few of the things you said in your first and second post. Firstly in regard to “The Mexico 1968 Black Power salute was broadcast live on TV.” – Actually it was cut from the live broadcast. It became an issue when NBC showed it later and also when the papers got a hold of it. The broadcast which was through an American Network was on a delay purely for the purpose of something happening (which was expected). In relation to what you thought I said I wanted to clear up a few things for you so that the hard work I have put in to standing against the injustice of ANY Olympic Games being insensitive of social issues go to waste. After you watched my film SALUTE http://www.salutethemovie.com you would have noticed that I certainly made the point that my famous uncle was not only robbed of any chance in his life to compete in future Olympics but the pure fact that my uncle Peter Norman stood up for black America as a white man which wasn’t a very safe thing to do at that time but did it to show support for a cause he believed in. For doing so he was not even invited to our own Sydney 2000 Olympics even though he still holds the commonwealth record 42 years later and to this day. You said I applauded the Vancouver Olympics.? Actually I said to the audience that from Australia the Vancouver Olympics looked great. I also suggested that we weren’t getting any media about any protests or issues in Vancouver during this time. I also went on to say that the greatest weapon society has now is the internet. I encouraged people on the ground in Vancouver to document the atrocities as I had and use the internet social groups like Youtube, Facebook, Twitter etc to let people OUTSIDE Vancouver know about the issues of your own country. Don’t rely on the main stream media to get the message out as they usually do what they’re told. Its public opinion that is more important. So I encouraged those of you who had something to say to be smart about it without the use of violence. Unfortunately there are some yobbo’s that think that the best way to get media attention is to turn on Police, burn things down or smash windows. These people are thugs and criminals and their point is never heard because they are making a point through violence. My suggestion was to band together and spread the word with social media outlets as discussed above. You wrote “conversation with Matt Norman found him applauding the peaceful and harmonious games that illustrated Canada’s ‘great’ democratic and respectful political traditions. His response – ‘well, you activists ought to be using social media’ – not only failed to see that activists were doing so already, but interestingly pointed to the invisibility of these media. In other words, if you aren’t looking for it, you won’t find it.” —- You’re right I applaud the use of non violence to stand up against injustice. I said nothing about Canada’s GREAT democratic and respectful political traditions??? I think politicians of our time are all crooks and have no social belief in doing the right thing so I certainly wouldn’t have praised your government for anything. You also suggested that I failed to see that activists were using social media outlets?? Again you’re right. I “DIDN’T” see anything put out about the issues in Vancouver because to be honest I wasn’t looking. As a civil/human rights activist I can’t spend every day looking at everything. I am currently working on another very important film that will not only make people sick with anger but also humiliated in the human race. So sorry if I didn’t check out what was happening in Vancouver. I stand against injustice and do it well (to the point where I was invited to meet with the Dalai Lama personally on his trip to Australia because of my VERY vocal stance on the rights of Tibetans during the Beijing Olympics). There are more issues in the World that needed my attention to be honest. That’s why I suggested that locals push the point for their own countrymen. Seeing as you are beating me up over APPLAUDING the Vancouver Olympics, ask yourself this question – What have you done? Ask yourself this – Does Tommie Smith and John Carlos have any comments on Vancouver? The answer is nothing and no. I am out there being threatened by the KKK for standing up for Black America, being abused by Chinese for standing up for Tibetans and called names for standing up for Australian indigenous issues. So next time you want to stand up for anything, do it without kicking those of us who actually ARE standing against injustice. By the way, you’ll also notice that I am here… I made a promise to the Vancouver audience that just because i didn’t see anything about politics at the winter games doesn’t mean I won’t now look harder. I am here now because every day I’m looking to put my thoughts on the issues raised by the audience in Vancouver. In other words I’m standing up and using my name, my voice, my reputation and commitment to uncover ALL injustices. Thanks for listening. Well done to the group for some great articles.. Apologies to Matt – the reference to ‘failure’ was not intended to be directed personally to you. I’m sorry if it came across that way and apologise for the lack of care in my writing. My point was that the single case study of the skype conversation with you after the screening demonstrated that the extensive collective activism in Vancouver wasn’t getting out to the world. There was a huge amount of social media activity in Vancouver, which pointed towards a very helpful move towards collective action in the city that perhaps did not impact international audiences in the way that might be imagined. That you weren’t seeing it in Australia is very important. Rather than my taking issue with your views about 2010, the point was that if even a socially active filmmaker such as yourself wasn’t seeing what was happening on the ground here, then we need to consider how the proliferation of information doesn’t necessarily make information more visible. I do think that there was genuine surprise that what we saw happening in Vancouver wasn’t being seen by others. UK colleagues did see the camera-friendly window-breaking in the mainstream news and were aware of the protests from other sources. Perhaps Vancouver didn’t attract as much international attention because of perceptions around Canada’s politics while the geography of the city makes it difficult for people to recognise real social inequality here. Clearly, I failed to clarify that my comments about the Salute screening were intended to be a case study in the international invisibility of Vancouver’s protests rather than any kind of critique of you personally. Salute is a wonderful film and contribution to the history of socially-engaged films about the Olympics and their relationship to global politics. Would be terrific to see it in a double bill with Mexico ’68 doc Tlatelolco: keys to the massacre. Carlos Mendoza, Nancy Ventura Ramírez. La Jornada, Canal Seis de Julio, 2005. As I’ve written in my other posts, I am not an expert in activism nor do I claim to be an activist. My own very small contribution is an attempt to think through the ways in which moving image media on large and small screens presented Vancouver as an Olympic city to both local and international audiences. As an academic, my role is to work with others to open out spaces for thinking otherwise about the world. Thank you for setting that straight for us. I think what you have written was a true showing of your commitment to standing up for the right reasons. Isn’t it strange that we as society can make good on issues that we may have with each other but our politicians can’t? They don’t say sorry, they don’t listen to what they’re saying or doing, they don’t believe in a true society no matter what race, religion, creed. We live in a society run by Political red tape that will continue to degrade the very nature of what we mostly believe to be right. It’s a pity that i didn’t know more about what was REALLY going on in Vancouver. I have since made up for that by using social media sites to openly discuss those issues (such as here). I want to thank you ALL for educating me with such amazing words. It’s so nice to find a site like this that has really good people discussing really good points about really bad problems in our World. This is a resource that let’s people like all of us breath and continue to discuss. In closing i’d like to also say that writing is a great non-violent way of solving the Worlds issues. Take it just one step further and use this social landscape as an essential tool to spread the word to a mass audience. Use video, use blogs, use momentum and you WILL see movement in the cause. Thanks again for writing back to me. It was a nice gesture and I accept your apology. Thank you. !